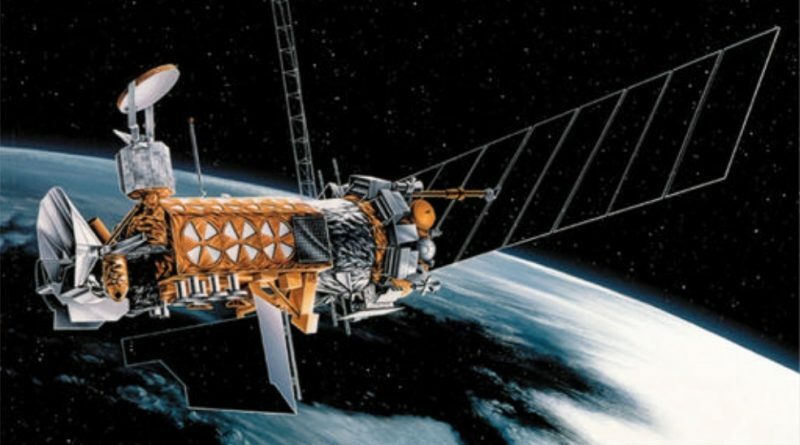 The DMSP-19 military weather satellite has been declared a complete loss after it was unresponsive to commands sent from the ground for over a month, caused by a failure within both communication chains of the spacecraft. The onboard anomaly taking out communications to the satellite occurred back in February, two years into a planned five-year mission for the U.S. Air Force. Part of the Defense Meteorological Satellite Program, the DMSP-19 satellite is part of Block 5D-3 of improved satellites built by Lockheed Martin and outfitted with a number of sensors to deliver images of Earth and vertical profiles of the atmosphere for meteorological analysis as well as microwave, particle and magnetic field instruments. Construction of the satellite was finished in the late 1990s, but it was kept in storage until needed in the satellite constellation that needs two active spacecraft to collect weather data plus two satellites in standby mode, ready to take over when needed. Designed for a five-year service life, DMSP-19 launched on April 3, 2014 atop an Atlas V rocket lifting off from Vandenberg Air Force Base. The satellite entered service some weeks after launch for what was planned to be a five-year service life. The 1,200-Kilogram satellite stopped responding to commands back on February 11, however, ground stations were still receiving telemetry from the spacecraft. Engineers began diagnosing the issue in the hopes of salvaging the mission and returning the newest member of the DMSP fleet to service in a timely manner. 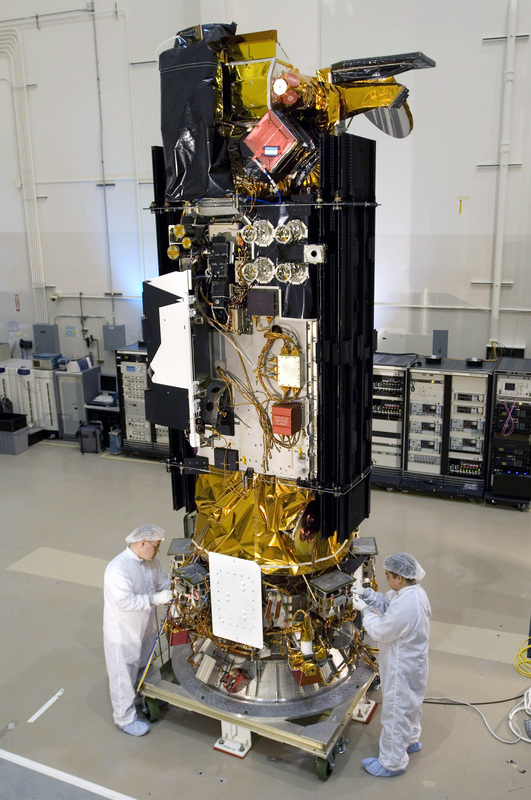 DMSP F17, launched in 2006 and well past its five-year service life, was reassigned as the primary DMSP spacecraft, taking over duties from the incapacitated F19 satellite. The Air Force issued a press release on March 3, informing of the problem with DMSP F19 and stressing that there was no impact to the strategic weather mission of DMSP as the constellation remained in operation and delivered continuous data needed for weather forecasting in ongoing military operations. The DMSP satellites are operated by the 50th Operations Group of the Air Force using NOAA’s Satellite Operations Center for regular mission operations and data processing. Troubleshooting of the problem on DMSP F19 showed that a failure within the Command and Control System caused the primary and backup communication paths to the satellite to fail. It was determined that none of the command chains could be recovered and no commanding of the satellite would be possible from this point forward. With no commandability, the satellite is of no use and has been declared lost. Operators will continue to listen for signals from the spacecraft to monitor its status for as long as it can remain in an Earth-pointed orientation, permitting communications with ground stations. 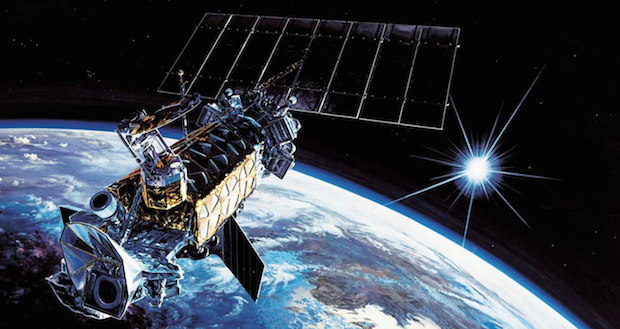 The DMSP satellites have encountered multiple issues in recent years. The start of F19’s mission was already bumpy when the satellite only managed to partially deploy its solar array, but without consequences for its mission. In February 2015, the DMSP-F13 spacecraft exploded in orbit after a sudden temperature spike within the electrical power system. 43 pieces of debris were initially tracked and the satellite suffered an unrecoverable loss of attitude control. The number of debris increased to over 100 and studies showed that several thousand smaller debris that can not be tracked from the ground may have been generated by the explosion. NOAA 16, a civilian weather satellite using a design almost identical to DMSP, broke apart in orbit in November due to an apparent battery explosion and dozens of fragments have been cataloged to date. Although there are still five DMSP satellites in operation, they all have exceeded their design lives by several years. 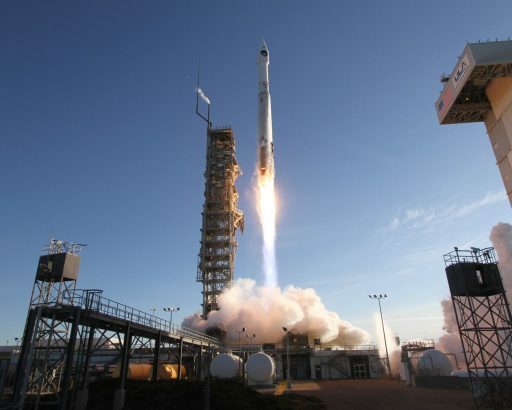 DMSP F20 has been in storage at Lockheed Martin’s facilities for years and would be ready for launch if needed, however, U.S. Congress ordered the DMSP program to be terminated last year and F20 to be scrapped to enable a next-generation program to come into motion for inauguration in the early 2020s. The Air Force decided to keep DMSP F20 in storage for a while longer to evaluate if it is needed in light of the recent issues with the DMSP fleet.